Like most countries around the world, Japan is a bi-measurement country. Land is measured in metres squared, while room sizes are measured in tatami (85.5 cm wide and 179 cm long). Bottles of sake come in millilitres, yet are sold in choko or masu, with the latter having a volume of one gō (180ml). It can be rather confusing having to switch between the two but at least they are standardised and you know how much you are getting for your money. The ONLY time you will see Asahi on BeerTengoku. Beer in Japan is a lot more confusing though. 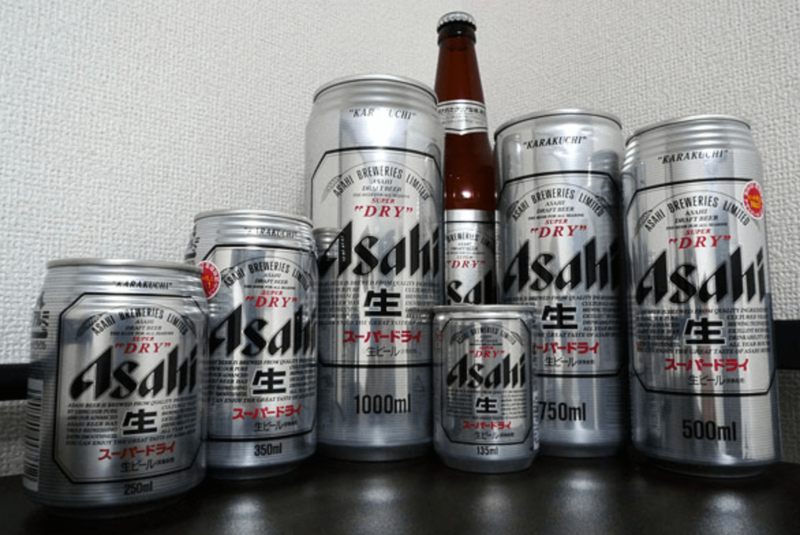 At the time of writing, Japanese beer can be bought in containers of cans which vary in size from 100 ml to 2l. It can be bought in bottles of varying size of 330ml right through to 2l. Talk about a wide variety. Yet you always know how much you are getting for your money. However, the main gripe we have – and the reason for this soapbox – is when it comes to drinking craft beer in Japan. Being from the UK, I’ve grown up knowing beers come in two sizes: half pint (284ml) or a pint (568ml), and more recently, the one-third pint (189ml). This is also true in the USA, but the US pint is about 20% less than a UK one, so about 235ml for a half pint, and 470ml for a pint. We’ve got the Magna Carta to thank for the British pint as it stipulated “to have your ale served in a standard measure “throughout the kingdom”. Another of the possible reasons for having these uniform sizes is that that the kegs of beer served to bars could easily be divisible into standard units. As such, bar owners knew how many beers could be served from the kegs. Some confusing sizes and prices. Of course, if the menu doesn’t say the size of serving on it, then you could ask, but why, as a customer, is it up to us to work out these things? Especially with the glassware on show as well. With Spiegelau glasses being all the rage - we’re as guilty as others - they can also muddy the waters as well due to them not being of a standard size. While some glasses do come in as a standard measurement, for example the IPA glass is 473ml, but other glasses don’t have any markings on them and come with an “eyeballed” amount of beer. Having a uniform glass size would also help customers keep track of how much beer they have drunk. Many a night has been had where you’ve been drinking and someone has said “how much have you had to drink?” and the answer is “I don’t know! 5 beers?”. As a final point, it would also help create a comparison between places for prices - an important factor for drinkers of craft beer. Having a uniform size, be it US pint size, UK pint size, or something simply like 250ml and 500ml, would help customers gauge the price of a beer accurately against other beers on the menu, or even against other places. 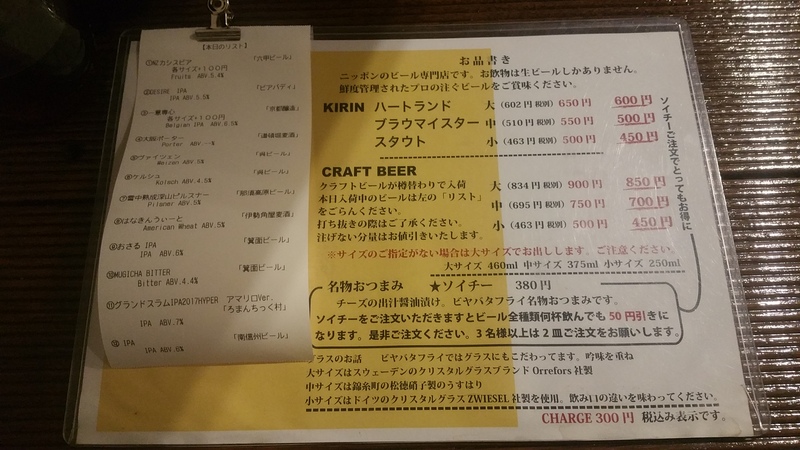 We’ve talked about this in the past about the magic 2.1yen per ml (easy to forget and hard to work out after a few beers) being the average price of a craft beer. Wouldn’t it be easier if all bars just used one or two uniform sizes of glasses to help consumers? Let us know what you think in the comments below.